There is no night's sleep like the one you have on a boat. Gently rocking with the waves, the soft noise of the water slapping up against the hull, and that sway that puts you to sleep right after sunset. Add a glass of wine, cool summer air and cozy sheets - you will have the best night's sleep. Guaranteed. 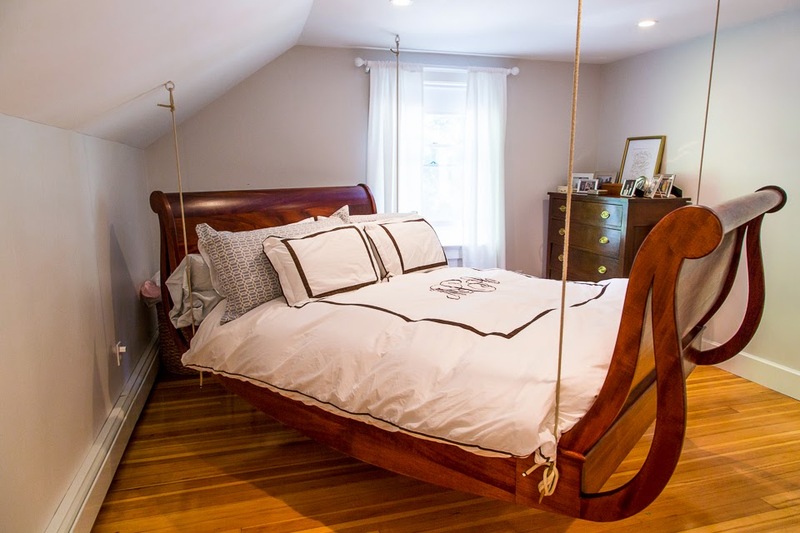 That was the inspiration for Andrew's hanging sleigh bed. 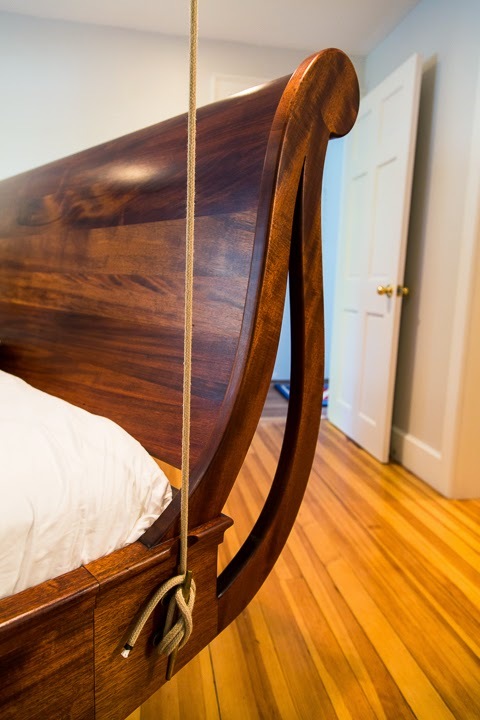 With his new company emerging, AC Grayling, the hanging sleigh bed is the first big piece in the spotlight. And we just so happen to have bed #1 hanging in our newly renovated bedroom. This was a huge step up from the mattress and box spring that sat haphazardly in the room just weeks before the wedding. Built of mahogany, stained & pollyed, this beauty hangs from the ceiling with bolts through the ceiling beams. Luckily since we had just brought the room back to studs this winter, we knew the strength of the beams and where they were located. 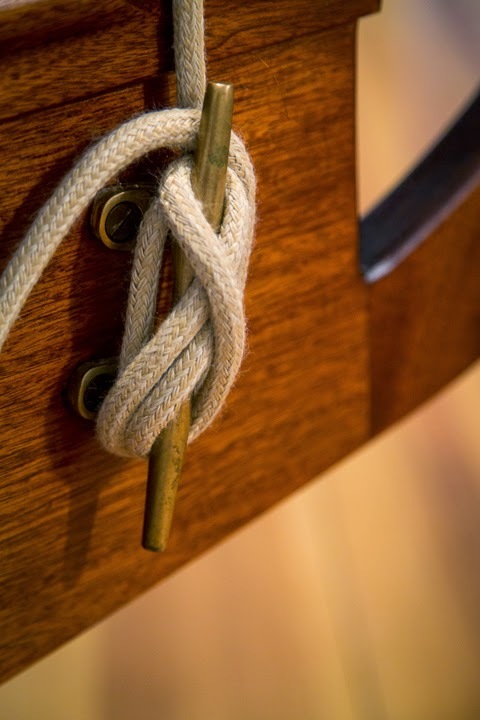 We attached the classic New England line to bronze cleats on each of the sideboards at the head and foot of the bed. Again, a very nautical feel. Best part of all? It sways & rocks you to sleep, just like sleeping on a boat. All we need is an app for waves slightly lapping against a hull. 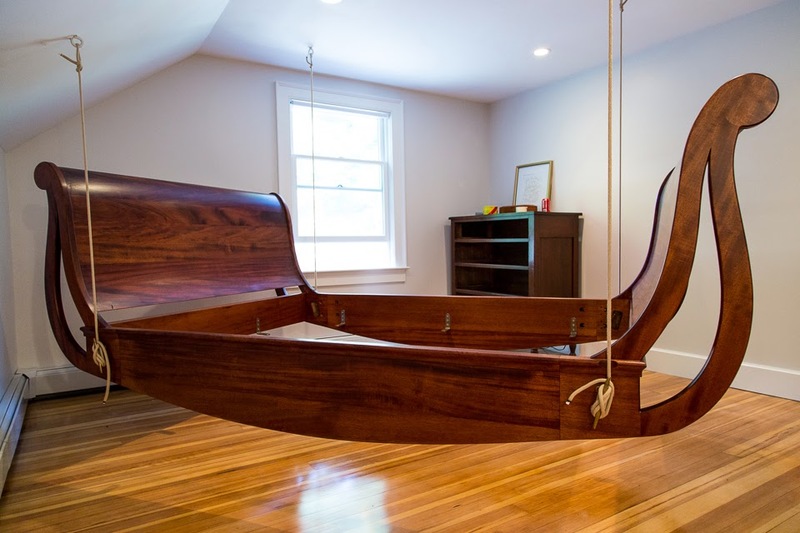 Perfect for two sleepy sailors.